How much should you spend on your new kitchen to get a return on investment? Thinking of remodeling your kitchen? What should you expect in terms of cost, investment & ROI? Determining a kitchen remodelling project budget can be quite complex. There are several factors to consider. The most important factor however is your WHY? Are you deciding whether to sell your home or to remodel to create the space (kitchen, bath, etc.) that will meet your lifestyle needs? Do you want to spruce up your kitchen to sell your home quickly? Have you just moved in and the kitchen/bathroom really needs an update? What level of quality do you want, custom or big box store? Do you want to completely remodel and reconfigure or simply replace and update? Will you handle some of the work yourself or do you want a complete turnkey solution? Are the appliances going to be standard or professional grade? Are the countertops going to be laminate or stone? What type of organization accessories will be included in the cabinetry? What about the flooring, the paint, electrical, plumbing, etc…? for the achievement of your venture. If you choose to keep your home for the longer term instead of selling it and you transform your home into a dynamic, functional space that makes you feel happy and fulfilled, you will ensure immediate satisfaction while you live in your home and more value if/when you decide to sell. If you intend on selling quickly you must prioritize where to invest to add the most value to your home. Quality of materials and functionality of space are very important and shouldn’t be brushed aside. While it’s true that spending too much on your kitchen project could mean you might not recoup all or some of your investment, it is equally true that spending too little could actually reduce your home’s value when compared to similar homes in the same price and/or the same neighborhood. Ultimately, if you are planning to stay in your home for 10-15 years or more, then it is recommended that you design and plan for what YOU really want and invest accordingly to make it happen. According to the AIC (Appraisal Institute of Canada), you can expect a 75% to 100% ROI on a major kitchen remodel or extension. A basic rule of thumb when determining a broad project budget is the percentage rule. It states that on average, the typical kitchen project (including cabinets, appliances, countertops, flooring, lighting, plumbing and wall coverings) should cost no less than 5% and no more than 25% of the current market value of the home with approximately half (50%) of that cost going toward cabinetry alone. Get the ultimate kitchen renovation investment guide by email today! A recent national survey conducted by the National Kitchen & Bath Association (NKBA) offers a guideline for budget allocation. 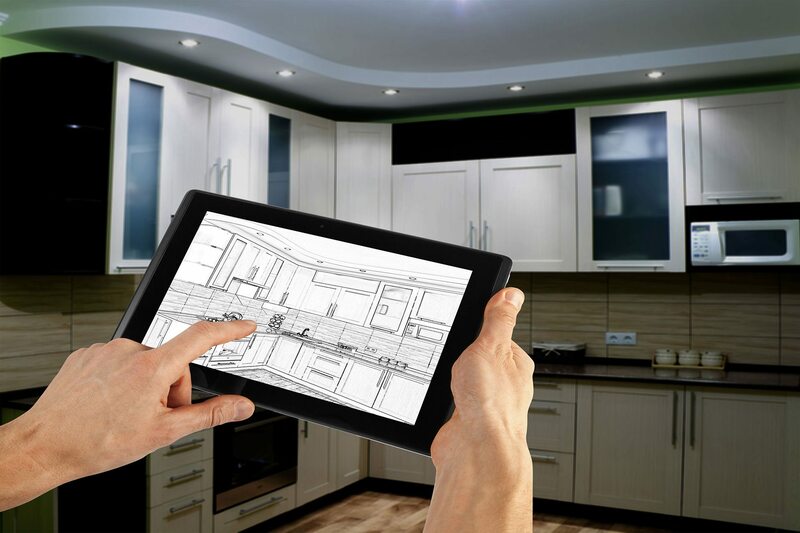 Their findings showed that on average, consumers working with a kitchen designer spent 48% on cabinetry, 15% on countertops, 15% on appliances, 8% on lighting/electrical, 6% on faucets/sinks/plumbing, 5% on flooring and 3% on wall treatments/molding/trim. Receive the results by email today!